Newcomer Family Obituaries - Timothy Mark 'Tim' Soster 1941 - 2019 - Newcomer Cremations, Funerals & Receptions. Timothy Mark Soster, age 77, of Toledo, passed away at his home under hospice care on Friday, March 22, 2019. He was born on November 30, 1941 in Cleveland, Ohio to Leo and Dorothy (Kohls) Soster. Tim was a graduate of DeVilbiss High School and proudly served in the U.S. Navy. He retired from L.B.A. Custom Printing after 36 years of dedicated service. 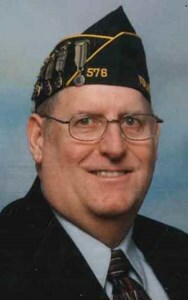 Tim was a former Commander of American Legion Post #576 before it's closing. He was an avid University Toledo Rocket's fan and supported their sporting events. Tim also took great pride in volunteering his time at the LPGA Tournaments over the years. Left to cherish his memory is his loving wife of 50 years, Sharon (Hoffman) Soster; daughter, Barbara Soster (Julie Pohorecki); son, Timothy Michael Soster (Mary Kimberly); grandson, Jace Woodbury; nieces, nephews; a host of friends and his best buddy and grand-dog, Max. He was preceded in death by his parents; brother, Dave Soster and sister, Joan Soster. The family will receive guests on Friday, March 29, 2019 from 3-7:00 p.m. at Newcomer - Northwest Chapel, 4150 W. Laskey Rd. (419-473-0300) with his Funeral Service starting at 7:00 p.m. in the funeral home. Memorial Contributions may be made to the (Disabled American Veterans) D.A.V. or to a hospice organization of the donor's choice in Tim's memory. Add your memories to the guest book of Timothy Soster. You always made me smile or laugh from the halls of DeVilbiss to the Glass Bowl Stadium. We are very grateful for Tim's military service in the US Navy. In the days ahead, may Jesus our risen Lord richly bless you all as you remember and celebrate his life legacy. peacewithGod.net His memory will live on in the hearts of all who knew him. Very sorry to hear about your loss. May you and your family gain comfort from God's word at Isaiah 26:19. “Your dead will live. . . the earth will let those powerless in death come to life.” A time will soon come when you will be able to see your loved one again right here on earth. When Tim talked to me once or twice since graduation, his unfailing good cheer in the face of adversity inspired me. What a solid fine guy! ...just as he was in high school. Wish his family and close friends well as they mourn his passing and cherish his memory. Sad to hear of Tim's passing. Sat with Tim and some of his other friends many, many times at UT sporting events and always had a good time. Glad I got to know him. Rest peacefully Tim. Greatest second dad anyone could ask for! Great memories with a great guy! He will truly be missed here on earth, but the sadness is replaced with the hope of us all being together again in heaven! Luv ya dad!???? Barb and Julie , so very sorry for your loss . Praying for all your family.